Jonathan Blunk, James Wright's biographer. 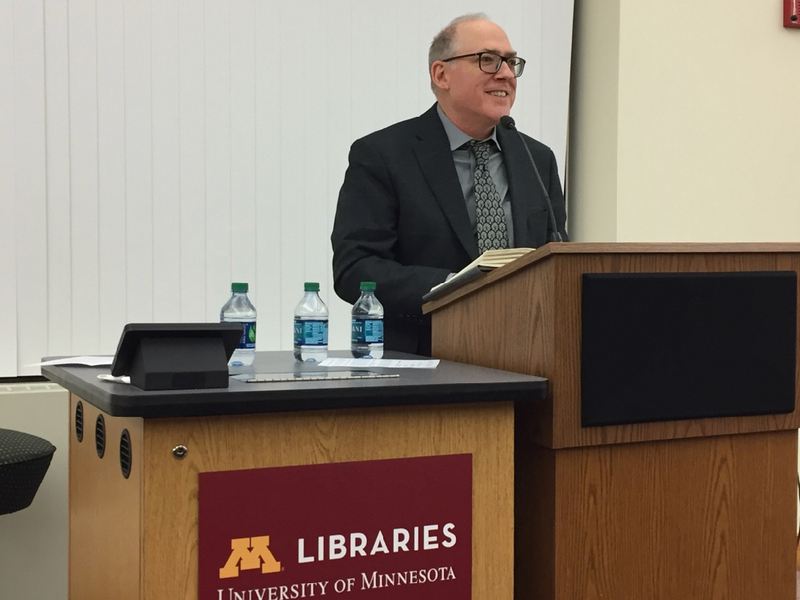 On Monday night, on what would have been James Wright's 90th birthday, admirers, writers, former students, and scholars gathered at the University of Minnesota to celebrate his work and to launch a new biography of the Pulitzer Prize-winning poet. The irony of the event was not lost on the crowd. Wright, who died in 1980 at the age of 52, hated Minneapolis. He had no love for the U. He taught at the University of Minnesota for six years but--due mainly to the opposition of poet Allen Tate, his former office-mate--failed to make tenure and was let go. His first marriage died here. He was broke, often drunk, mostly depressed, and wanted desperately to leave. 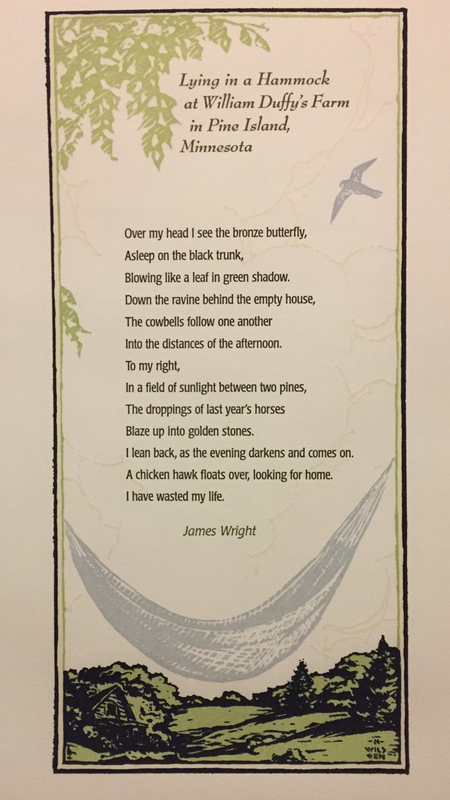 Browne, Charles Baxter and Patricia Hampl read a few of Wright’s poems and shared memories. Baxter talked of first reading Wright’s collection “The Branch Will Not Break” when he was still a high school student, and Hampl told the crowd she’d been racking her brain over which story to tell and then said to herself, “Girlfriend, you have no stories. You never met him.” But she felt through his fine poetry that she had. She went on to read what is possibly Wright’s most famous poem, “Lying in a Hammock at William Duffy’s Farm in Pine Island, Minnesota.” She prefaced it by noting that Pine Island is on the way to Rochester, and the Mayo Clinic, and she and her husband, Terry Williams, made that drive many times during his final illness. One day they stopped in Pine Island and read the poem aloud to each other. Jonathan Blunk, whose biography of Wright “James Wright: A Life in Poetry” was published in October by Farrar Straus & Giroux, read from the opening of his book, a long scene where Wright, in the basement study of his Como Avenue home, decides to give up on poetry only to come across Robert Bly and Bill Duffy’s seminal magazine, “The Fifties," later that day, which renewed his ambition. Blunk spent months at the University of Minnesota in the Upper Midwest Literary Archives, digging through the James Wright Papers—the poet’s letters, manuscripts, journals and galleys which were donated by his widow, Anne. 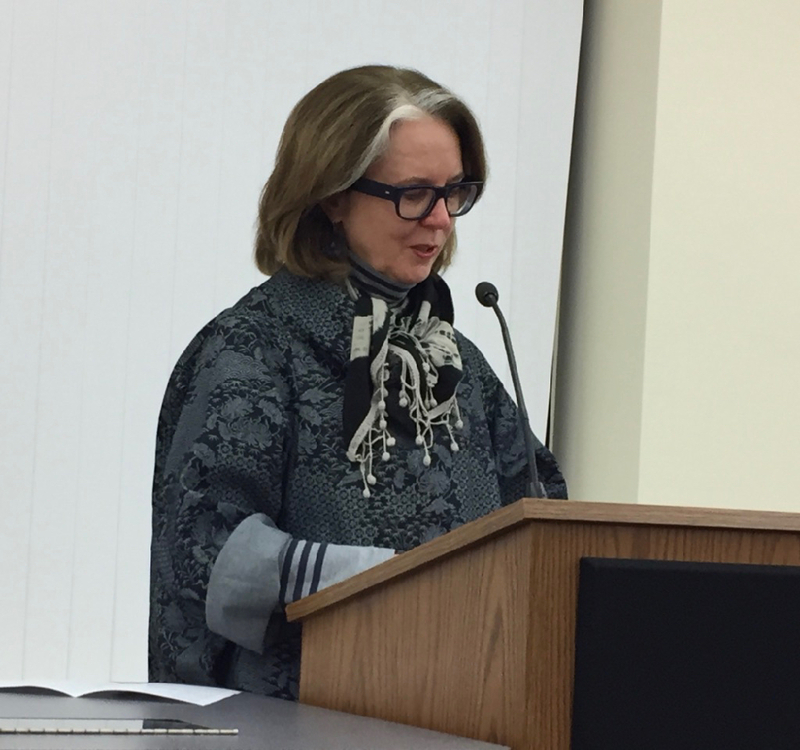 “Back in the late sixties, James’s comments about his former life in Minneapolis and teaching experience at the University had made me skeptical of the city,” Anne Wright said in a letter she sent to mark Monday’s event. At the end of the evening, Blunk announced that he hoped that all of the materials he collected during his years of researching Wright’s life—interviews and documents and early drafts of the book—would find a home in the Wright collection. And then there was applause, and book signing, and birthday cake. And a wet drive home in the driving snow, as "the tall rocks of Minneapolis / build me my own black twilight / of bamboo ropes and waters."